Many thanks for the latest edition and apologies for my temporary AWOL; put it all down to a period of ill-health together with 'major happenings” in the aviation field (literally). 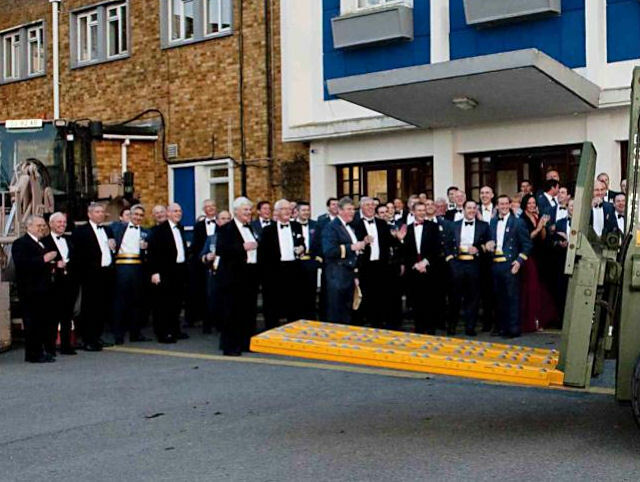 But first, I can report that the CL44 Association has received the usual liver-crippling number of bookings for its reunion at the Royal Air Force Club on the 10th and 11th June. Our guest of honour this year is a genuine Tiger in the shape of Captain Garret Wight and his wife, who are coming over from the USA. 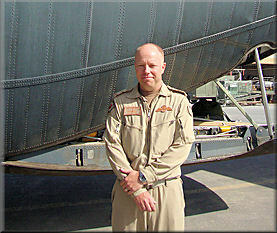 Garret was a Captain on the Connies and 44 of the Flying Tiger Line. On the 'civil' front, I have maintained almost daily contact with our 'Agent' in Cairns and whilst, there is more secrecy surrounding the Belfast than makes any sense, I can report the following: A new company has been formed in Australia - its’ objective being to acquire the Belfast AND the four Tyne engines from the CL44-O Guppy that HeavyLift removed from BOH last year. The Belfast had in fact, been given a new registration (African) but this was cancelled. The new company includes a well-known 'character who (being polite) is not in Heavylift's book of Christmas Card recipients. However, the new venture has flown off (in March) to Manilla, there to enquire as to the possibilities of putting both aircraft on the local register. 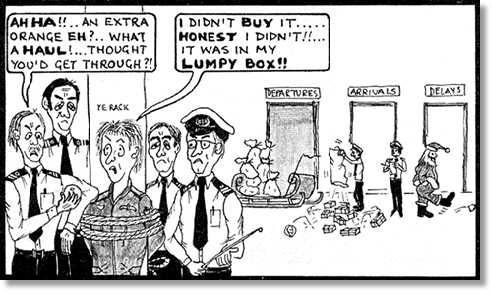 Meanwhile-back at Hurn, the CAA has been on board the Guppy and has extended the Grounding Order. More news in May. In other directions, my co-author and I have embarked on the writing of the book “Cargo Tramps” with the idea having been taken up by a Californian-based film company with a view to approaching Discovery Channel. All we have to do now is write the darned thing! Our 'Rep' from RAF Air Movements will be Brian Kent and thanks to a donation of a mountain of paperwork from Tenerife, we have an amazing collection of RAF and BOAC paperwork, including Load Sheets from the Yorks of Danair. Awesome work with everything you do; I enjoy checking out the newsletters when they're published. 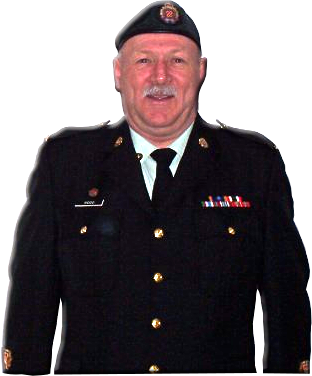 The CAF mystery photo #040111 is none other than MWO Len Wood (ret'd) always affectionately known as ‘Woody’ and one of the nicest guys you'll ever meet. A proud military person and a diehard Toronto Maple Leafs fan! Tony... Its WO Len Woods. As an aside, I am on the closure team for Kandahar and I would be equally thrilled to provide you the Movers concept of Mission Transition, or Mission Termination. 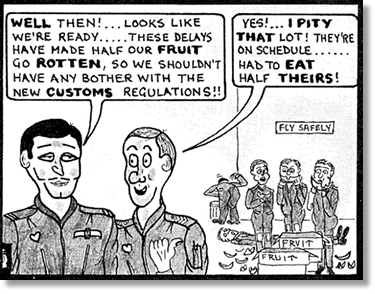 It is the largest CF reconstitution since WW2, we have some briefings from the Dutch move from Kandahar, the US move from Iraq and the UK is watching how we are doing business so that in 2014 they too can all come home. We are deploying with 40 traffic techs, from across Canada, 200 plus Supply Techs, 200 plus vehicles techs... busy busy. 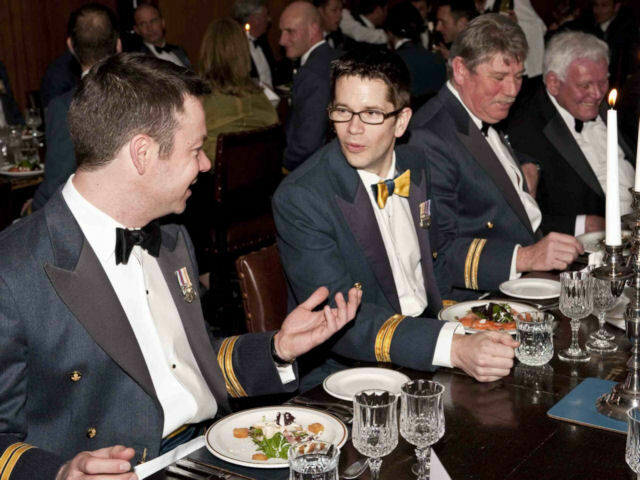 I attended the party for the 60th Anniversary of 2 Air Movements Squadron in Trenton. It was quite the bash and was a great opportunity for both young and old Movers alike to see what has changed in the Air Movements world. The mystery photo is a picture of MWO Len Wood prior to his retirement. He has kept the tradition of calling young and proficient movers the "Trapper” name. I hope he is enjoying his retirement and can attend future reunions. No mystery there. That is Woody, the guy that calls everyone "Trapper". Thank you for yet another great newsletter. Imagine my surprise when I scrolled down to the CAF Mystery Photo and laid my eyes on a photo of Northern Ontario resident and Toronto Maple Leaf aficionado Len (Woody) Wood. Troops in Helmand province have now taken early delivery of the new 20-foot-long (6m) Wolfhound variant of the Cougar armoured fighting vehicle thanks to close co-operation between coalition allies. The RAF’s strategic air transport hub in the Middle East is currently a hive of activity due to the Royal Marines from 3 Commando Brigade taking over from the soldiers from 16 Air Assault Brigade in Afghanistan who have completed their six-month tour of duty. But an offer of help from the Australian Defence Force to use one of its massive C-17 Globemaster aircraft meant that much-needed specialist vehicles, two Wolfhounds and an armoured repair vehicle were flown in too. Squadron Leader Mark Clulo, Officer Commanding B Flight, 901 Expeditionary Air Wing, said: “The sheer size and weight of each Wolfhound vehicle means the only aircraft capable of moving them is the Royal Air Force’s, or in this case, the Royal Australian Air Force’s C-17. Although both Air Forces operate the same C-17 aircraft, it is not just as simple as driving the vehicle onto the aircraft and then strapping it down. 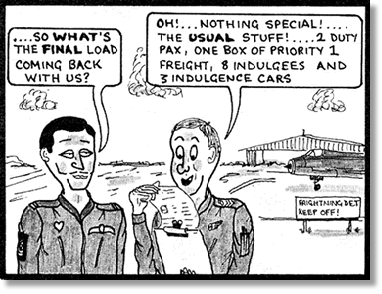 Meticulous planning is required to ensure that the load is evenly distributed to keep the aircraft in balance. 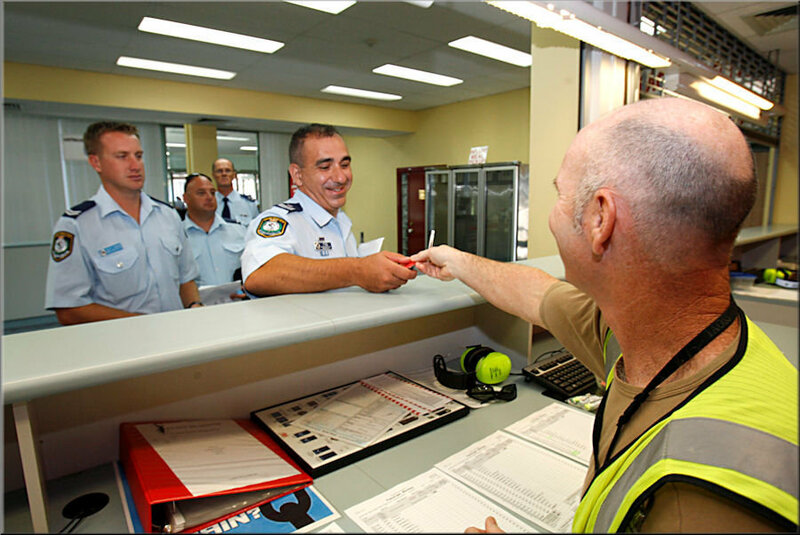 This required close liaison between the UK and Australian load teams to ensure that proven UK procedures could apply to the Australian aircraft. British soldiers battling the Taliban in Afghanistan will get better protection from attacks by insurgents thanks in part to the teamwork shown by the RAF and the Australian Defence Force. With reference to Pete Spears’ photo and story about Northern Ireland August 1969. SAC Jack Murray and I had already been there for some days at RAF Ballykelly at the other end of the country. We were with an Andover (HS748) ferrying high-ups to a conference on one of the Scottish islands, although when their baggage included fourteen fly fishing rods we wondered how much talking would get done! We felt something bad was happening when suddenly no one was let outside of the airfield and upwards of 150 airmen were patrolling the perimeter. Being streetwise movers we got out fast and returned to base. Just a few days after that, Operation Spearhead kicked off and we all found ourselves working around the clock - I recall we were running from aircraft to aircraft in order to maintain the required quick turn arounds! The above picture shows yourself on the left, Jack Murray (who I believe had been promoted to corporal at this point) and your's truly on the ramp of a C130 loaded with 2 Sioux helicopters. The RAF s Remotely Piloted Air System, the Predator MQ-9 Reaper, has notched up a landmark 20,000 operational flying hours over Afghanistan. Controlled by 39 Squadron, the Reaper force has repeatedly proven itself, both in combat and as eyes in the skies for front line troops and military commanders on the ground. Reflecting on the achievement, Air Officer Commanding No 2 Group, Air Vice-Marshal Phil Osborn, said: "The RAF s Reaper force has proven itself time and again in combat and is an essential element of the RAF s combat intelligence, surveillance, target acquisition and reconnaissance capability. 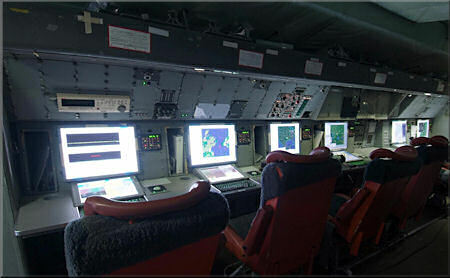 "The real-time, day and night video coverage of the battle space, combined with the extensive use of onboard radar, provides a unique, cost effective and sustained capability that enhances the safety of troops on the ground. This cutting-edge remotely-piloted aircraft provides an impressive range of capabilities that are saving lives and making a real difference to the troops in Afghanistan. 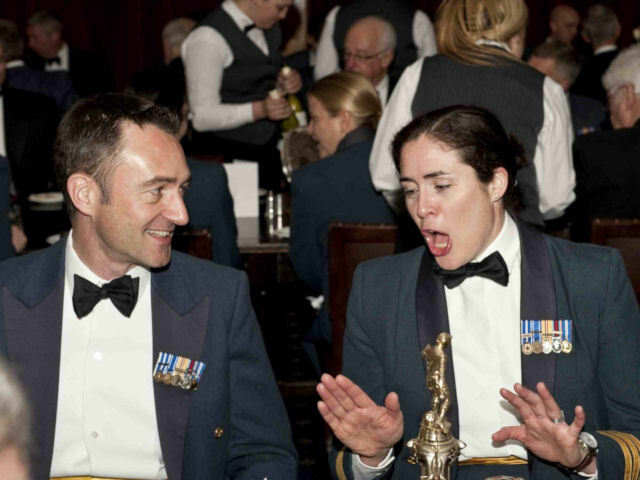 "The aircraft is only as good as the individuals operating it though and I am most grateful for and must praise the dedication and operational focus of all the members of 39 Squadron, who are drawn from across all three Services, in achieving this milestone." A Reaper pilot from 39 Squadron spoke of his experiences after a recent tour in Afghanistan: "When you re assisting troops on the ground and insurgents are trying to take shots at them we can be called to use the Reaper s precision weapons. 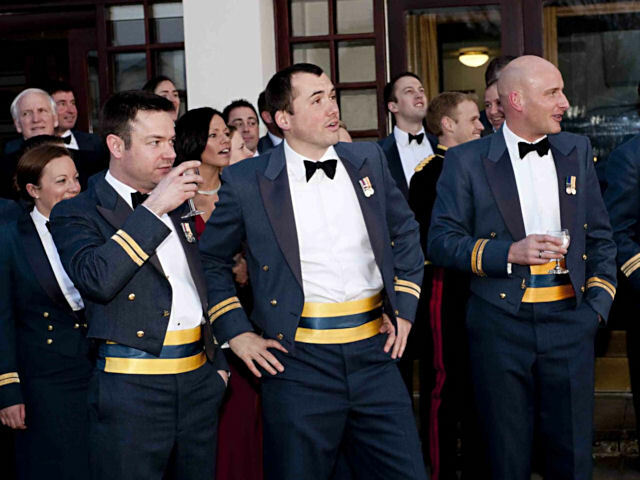 As with fast jets, you re still speaking to the troops on the ground and feel immersed in the operational environment. In many ways, you actually feel better connected to the situation on the ground than you do in a fast jet - the detailed computer systems that we ve got with Reaper make it easier to get better intelligence pictures." 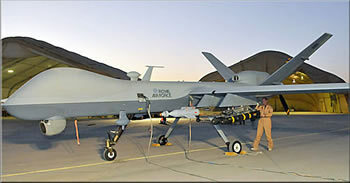 Reaper was introduced in October 2007, and, with its array of high tech sensors and precision-guided weapons, it can carry out a wide range of missions to support forces in Afghanistan. It can gather pre-raid intelligence on target compounds, assist in countering IEDs (improvised explosive devices) and provide surveillance for routine patrols and supply convoys. Reaper can use its sensors day and night to spy on insurgent activity for hours at a time and at a range where it is undetected from the ground. The images are complemented by radar, mounted in the nose of the aircraft, gathering another dimension of detailed imagery that is analysed by a team of highly trained intelligence specialists in military bases around the world. If necessary, Reaper can also strike at insurgents with a range of precision-guided weapons. 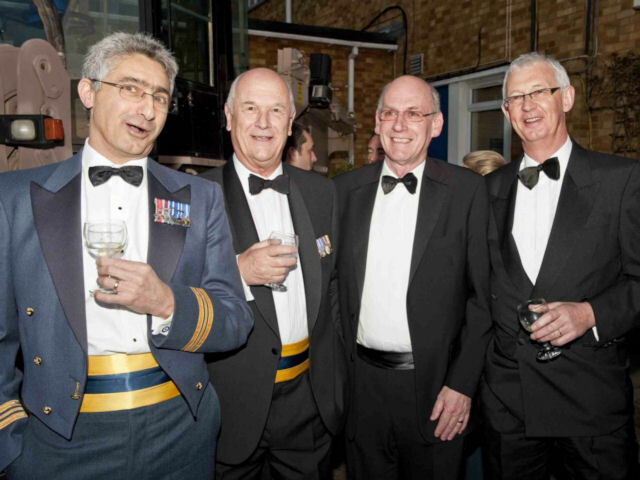 This fine bunch are the Flt Engineers from 40 Sqn RNZAF who crewed our 2 C-130s in Gulf War One. L-R: F/Sgt Bruce "Brusier" Melivn, W/O Brent "Shagger" Shanks, W/O (rtd) John "Hagast" Campbell and Sgt (Rtd) "Guppy" McGifford. 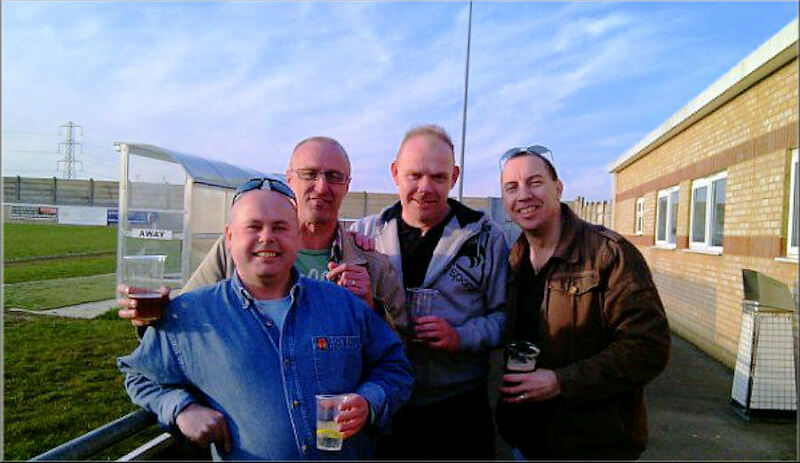 This picture was taken in Dec 2010 at Whenuapai as part of the Gulf War One 20 year reunion. As you will undoubtedly be aware, RAF Lyneham will shortly be closing and in November 2011, 1 Air Mobility Wing will be re-locating to RAF Brize Norton. 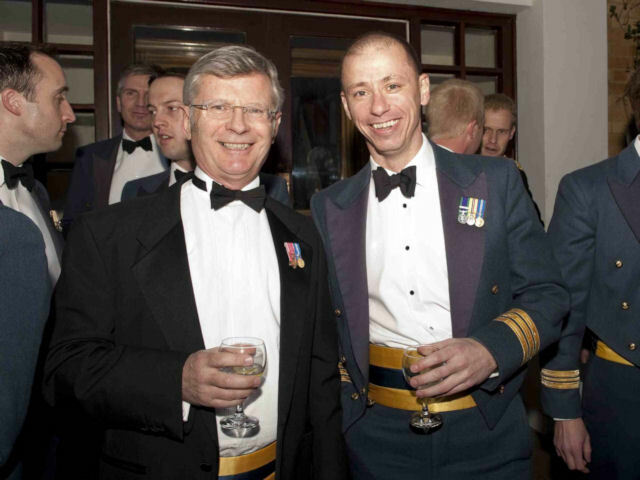 To mark this occasion, 1 AMW’s “Farewell to RAF Lyneham” Dining in Night, for all 1 AMW and UKMAMS Serving and Ex-Serving Officers was held on Friday 1st April 2011 in the RAF Lyneham Officers’ Mess. You may like to use these photos in the next Old Bods newsletter to see if they stir the gray matter of any of the elderly movers. 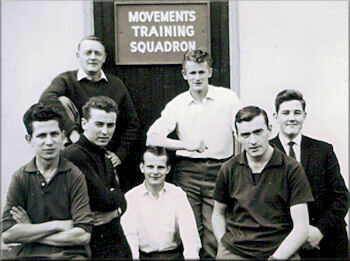 No 10 Junior Movements Course, Kirton-in-Lindsey, Summer 1961. Back left Cpl "Taff "Jones, next to him is another Welsh Man. (looks to me like Keith Davis). Middle row, side on is Richard Moran. Front row middle in white shirt is Sandy McCreath. 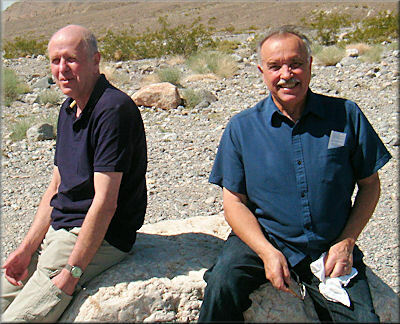 The guy on the right in the dark shirt is, I think, Mac Allister who was with me at Abingdon in the mid 60's. 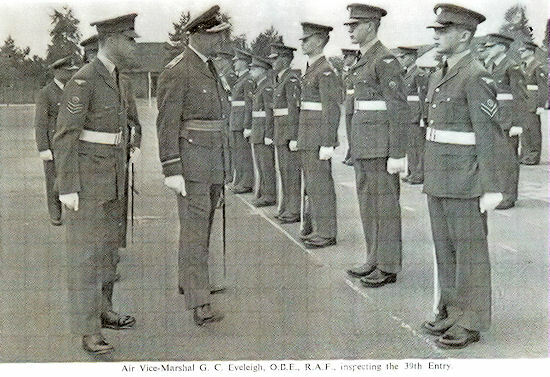 August 1961 - Pass-out Parade of the 39th Entry Administrative Apprentices at Bircham Newton. I think I can spot Syd Avery. Media are invited to attend the Introduction into Service ceremony for the Royal New Zealand Air Force’s first P-3K2 Orion maritime patrol aircraft at Whenuapai Air Force Base, Auckland on Monday 2 May. Limited free seats are available for Wellington and Palmerston North based media aboard an Air Force Boeing 757 for a return flight to Auckland on the day. Details of the flight and ceremony will be provided closer to the time. For media who want to use this Air Force flight, please provide names and contact details when registering interest to attend the ceremony. Please note that this flight is subject to change. Seats will limited to two people per organisation. Acceptance and flight details will be provided no later than Sunday 1 May 2011 at 1200hrs via email. 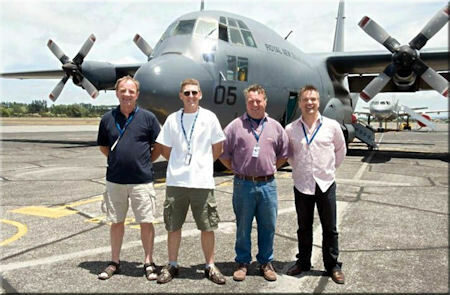 The return of the P-3K2 Orion is a significant milestone for the RNZAF. The aircraft is a quantum leap forward in technology and will improve the Intelligence, Surveillance and Reconnaissance (ISR) capability the Defence Force can direct on military operations or in support of other Government agencies. It has just been announced through the media, that the famous aerodrome at Filton, near the city of Bristol, is to close at the end of 2012. Flying started here in 1910, and over the years the site has developed into a major aircraft and engine manufacturing centre, the main companies today being BAE Systems and Rolls Royce Ltd. Many famous “Bristol” aircraft were built here together with their Rolls Royce engines. Starting with the Box Kite and progressing through to the Concord. Many Movers may remember the Bristol Freighter and the Britannia, together with the ill-fated Brabazon. All of these aircraft took to the air for the first time from Filton. 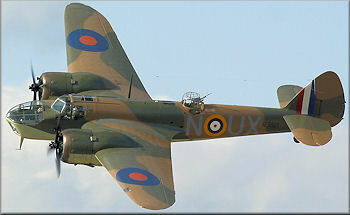 It was here where the twin-engined light bomber, the Bristol Blenheim was built together with many other types throughout its history. The Royal Flying Corps and the Royal Air Force operated from Filton, both during and after World Wars I & II. 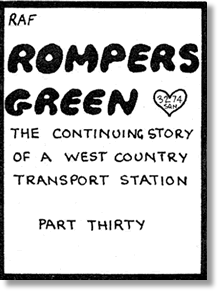 During WWII it was bombed, together with other parts of the Bristol area. 57 Heinkel bombers escorted by Messerschmitt BF-111's (over one hundred airplanes) devastated the area at 12 noon on September 25th 1940, killing over 200 of the Filton employees, with direct hits on some of the air-raid shelters where the workers had sought refuge from the bombing. The reason for the closure is because the concrete runway requires resurfacing at an estimated cost of £10 million. Its private airfield status does not generate enough revenue to warrant the expenditure. At the moment, manufacturing of many components takes place here, amongst which are wings for the A400M and the Airbus, which are assembled in the vast “Brabazon” hangar; huge Guppies are used to transport them to Barcelona. Once the airfield is closed, there is talk of reopening the rail line, situated on the airfield, to transport the manufactured wings to Avonmouth Docks on the River Severn, some 15 kilometres to the West, for shipment to Spain via ocean carrier for final assembly. Over the lifetime of the airfield there has been much chin wagging as to it being updated for use as the main Bristol Airport. Unfortunately, the area has developed with thousands of houses being built, on vast estates surrounding the immediate area. Together with the largest retail outlet in the West Country at Cribb’s Causeway, just to the North west of the field. There are also many other considerations which would have to be completed before a commercial airfield licence would have been issued, costing many £millions. Just who would have paid for all this? What is happening to our manufacturing industries and where we are going, has yet to be realised, I fear for our sons and daughters and especially the grandkids for their future employment prospects. In the 40 years that I have lived in this great city of Bristol, It has change, going through shipping and general engineering manufacturing, to what it has now become, a centre of banking and insurance, it has yet to be seen if the aircraft manufacturing capability will survive. 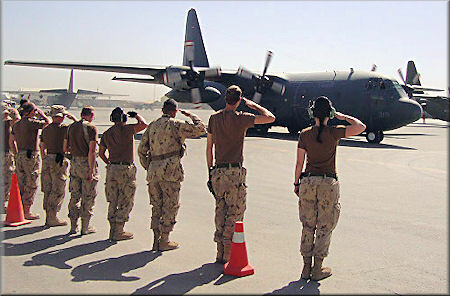 One of Canada's oldest military aircraft flew out of Kandahar for the last time Monday. 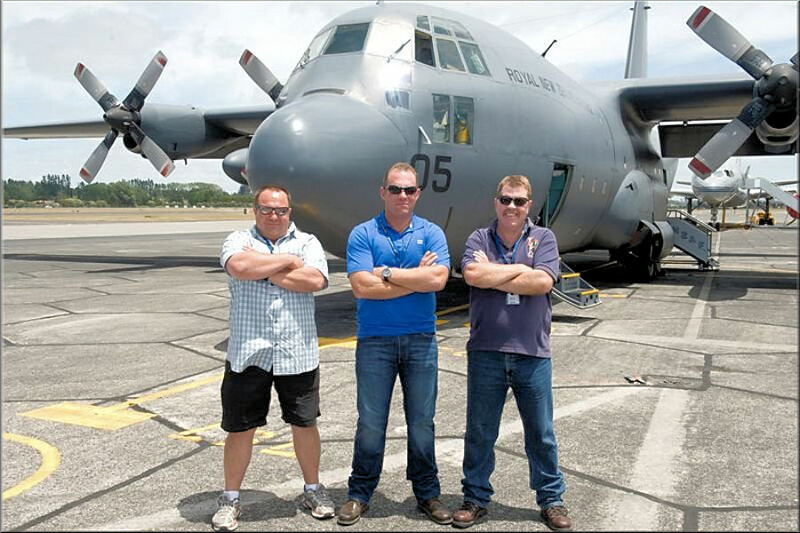 The C-130 H Hercules has flown nearly 45,000 hours and nearly 18 million kilometres since it was ordered by the Diefenbaker government. The transition away from the H-model ends in Kandahar with the arrival of another J-model on Tuesday. The J-variant is to continue flying missions from Kandahar until sometime in November in support of NATO and Canada's close down of combat operations, which takes place in July. Col. Al Meitzinger, Canada's last air wing commander in Kandahar, discovered a few days ago that he had a personal connection to the departing aircraft going back to the time when he was a Grade 5 student. His father, Chief Warrant Officer Dave Meitzinger (ret. ), checked his old logs and discovered that he flew the same aircraft (tail number 130819) as a loadmaster from 1977 to 1980. Hope this day finds you not wet with this spring weather. Anyway, as we age along gracefully it appears that our mind does lose some of its historical data, probably due to certain amounts of ‘elixirs’. 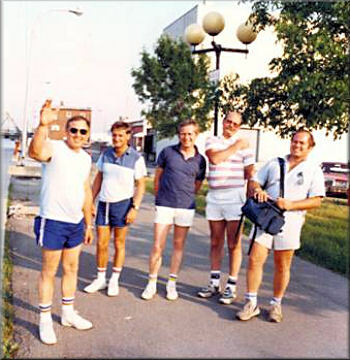 Bill Warrick (deceased), and I hosted these fine individuals back in (I think) 1986 or 87. 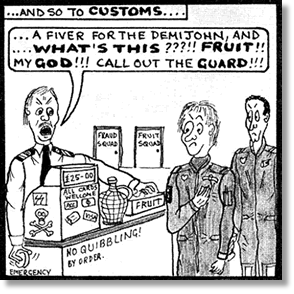 They were from our sister training squadron in the UK, 242 OCU, but for the life of me I cannot remember their names. 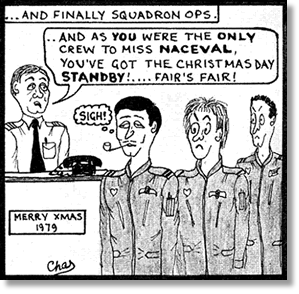 I was the CC130 Standards Instructor at 426 (T) Squadron and they presented me with a framed picture of Hercules XV298, but at the time of their departing their signature hands could not stop shaking, probably due to the libations from the night and days before; to be honest they were shaking too badly to open the back of the picture. I enclose their pictures so that someone may be of assistance in identifying them. This particular day we took an all-day boat ride through the locks and out into the Bay of Quinte. The lockmaster in the Trent Canal System was very leery about our docking procedures.. due to the sun I think..
Of course we justified this outdoor training by discussing the various amount of floor rings on the CC130 etc.. etc.. They almost look like royalty... but I know the difference, funny thing is they did not want to visit our Canadian Barber School! An Airbus Military A330 MRTT – a new transport aircraft to replace the aging fleet of Tristars and VC10s – has arrived in the UK for the first time. It is one of two now flying following conversion at Airbus Military's Madrid facilities and the RAF's largest ever aircraft with a 60 metre wingspan. It is being named Voyager. The aircraft landed at RAF Boscombe Down to mark the beginning of the UK phase of test activities before delivery of the first aircraft. After ground-testing airborne testing will begin through the summer. It is a considerable capability boost, able to carry 291 troops over 6,000 miles and to air to air refuel other aircraft with 100,000 litres of fuel - greater than two large petrol tankers. On the ground and in the air, the aircraft will be tested in the refuelling role, with Tornado, Sentry, Typhoon and Hercules aircraft. Voyager can refuel aircraft at a rate of 5,000 litres per minute - a garage forecourt petrol pump delivers fuel at 40 litres per minute. The first of 14 aircraft on order will be delivered towards the end of the year for operation from RAF Brize Norton by the Air Tanker consortium on behalf of the MOD. The remaining 12 aircraft will be converted by Cobham in the UK with continuing engineering support from Airbus Military. The British Ministry of Defense (MoD) is speeding up the process of replacing its air transport fleet by bringing the new Voyager into service as early as next year. The Royal Air Force (RAF) is reportedly in dire need of the replacement as the millions-pound maintenance costs for its decades-old Tristar passenger and tanker aircraft and VC-10 are hampering operations in Afghanistan and Libya through flights delays and cancellations. 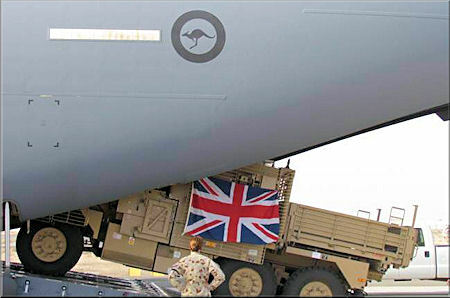 The RAF is currently using VC-10s for air-to-air fueling of fighter jets deployed over Libya. The Ministry of Defense unveiled its first Voyager which is a converted Airbus A330 used for over a decade earlier this week. 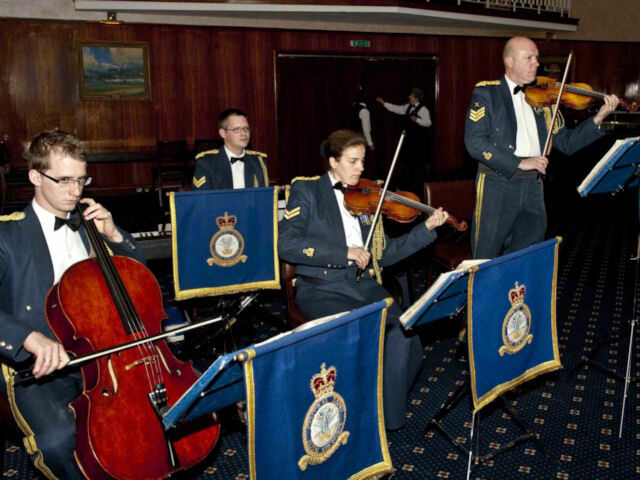 The Voyager fleet were to officially join the RAF in 2013 after gaining the necessary permissions from the Military Aviation Authority but reports said that the MoD is going to rush in the aircraft. 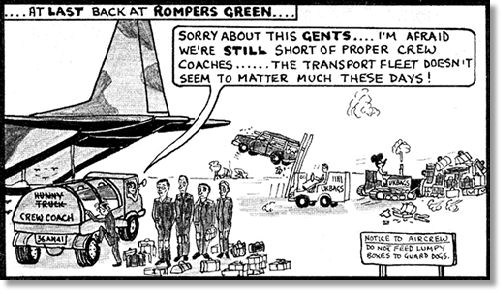 The MoD is now chartering civilian aircraft to send the necessary supplies and equipment to Afghanistan that is costing an extra £16 million annually as the sources said their current fleet are “knackered” and held together by "rubber bands and sticking plasters". The Voyager, which will be the RAF's largest-ever transport aircraft, can fly 291 troops plus 100,000 liters of fuel, enough to fill 2,500 Mini Coopers and can dispense fuel at a speed twice that of a Formula One pit stop. The MoD is planning to deploy 14 Voyagers at an overall cost of £10.5 billion. “This will provide the RAF with state of the art strategic air lift and air to air refuelling for decades to come, supporting British Forces around the world. As we have seen with operations in Afghanistan and over Libya these capabilities are vital to project power overseas to protect British interests," Defence Secretary Liam Fox said. 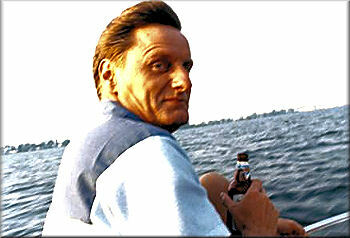 Thanks to the OBA I managed to get in contact with Baz Chappell. It had been over 30 years that I had been out of contact with him as our 2 families had been really good friends during our time on UKMAMS. My wife and I have just spent 10 glorious days in Las Vegas as guests of Baz and his wife Peggy and they are arranging to come over here this year. I have attached a couple of photographs; one of myself and Baz and one of the four of us (Baz, Peggy, Kay and myself). Here’s to many more reunions! 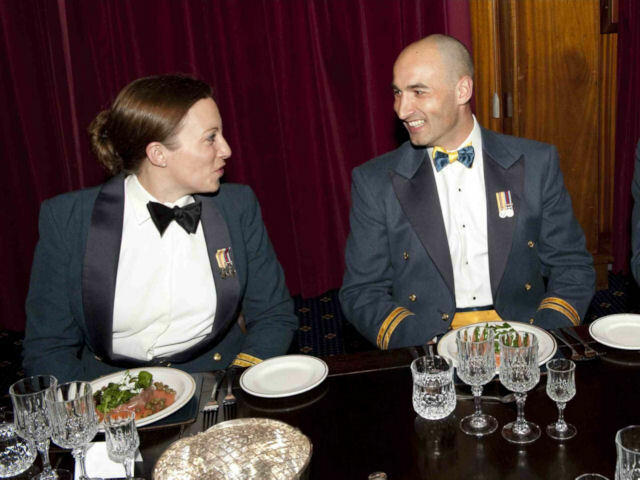 RAF Mover; officer in the Sultan of Oman’s Air Force and staff officer to the Saudi Armed Forces Project. Most of all, one of the nicest men you could ever hope to meet. He lived his life to the full right up to the very end and was always ready to help his fellow man. ANZAC Day is neither an occasion to celebrate nor to glorify war, nor to gloat over former enemies, Royal Australian Air Force Chaplain Mark Willis told a 20,000-strong crowd attending yesterday's national dawn service at the Australian War Memorial. Speaking on the 96th anniversary of the Anzac landing at Gallipoli, Wing Commander Willis railed against the futility of war and the hollowness of victory. "We do not come to glory in war, nor to celebrate and certainly not to gloat over our enemies," he said. "We simply come to remember the ordinary person and to pay tribute to those who put freedom for others before their own interests. We call it selflessness, something I am afraid is mostly missing today." Thousands of tiny electronic candles lit the pre-dawn darkness, while a flock of squawking cockatoos in a nearby gum tree lent an authentic Australian flavour to the otherwise solemn proceedings. NSW Governor Marie Bashir represented Governor-General Quentin Bryce, who attended a service at Hellfire Pass in Thailand. 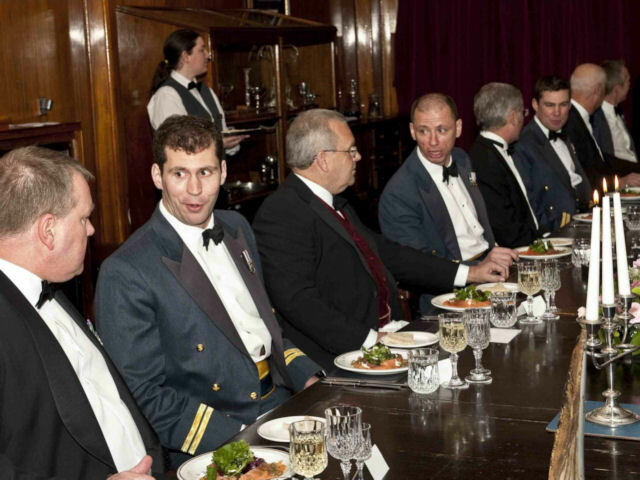 Professor Bashir and the visiting Chief of Turkish Naval Staff, Admiral Yigit Ugur, were the official guests of honour. Following a playing of the hymn O Valiant Hearts, wreaths were laid and the Anzac dedication read by John King, president of the ACT branch of the Returned and Services League. 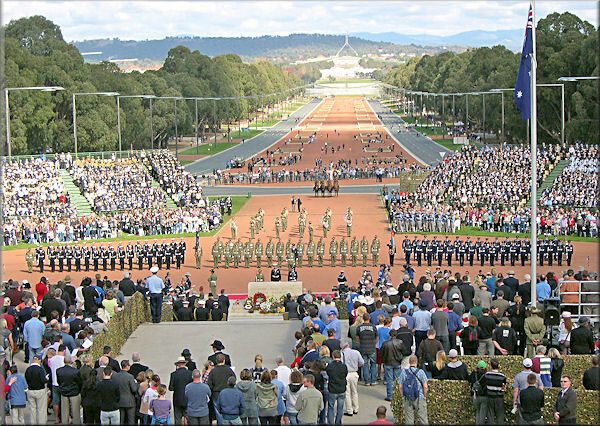 Addressing the National Anzac Day March in Canberra, Les Carlyon, author of the acclaimed Gallipoli and The Great War, told guests the day was about remembering "those tens of thousands of Australians who lie in foreign fields, on the pretty downlands above the Somme, in the deserts of Libya, in an olive grove on Crete, in the heavy clay of Flanders". "And today is about remembering our bond with New Zealand, because there can be no talk of Anzac, there can be no notion of an Anzac spirit without New Zealand," Carlyon said. The Canberra march-past was notable for a contingent of former Vietnamese airborne soldiers, in immaculate uniform carrying the yellow and red-striped flag of the former republic of South Vietnam. A more informal indigenous commemoration ceremony attended by more than 200 people was held shortly after on the slopes of nearby Mount Ainslie. After a welcome to country, indigenous army reservist Ryan Black, who served in East Timor and Solomon Islands as an Australian Federal Police officer, said he was proud of his 10-year army service. Attendees were encouraged to recite a World War II poem, The Coloured Digger, written by a white Sapper, Bert Beros, of his indigenous mate Harold West, who died in New Guinea in 1942. It was followed by a laying of wreaths. At the end of the 30-minute service, proceedings were interrupted by an angry Aborigine who shouted abuse at the organisers, accusing them of selling out to the "white man". Many visitors walked away visibly distressed. "Would be good to be in touch with some of the 80's Movers"
"Great way to keep in touch with Movers from all over the world"
Looking forward to staying in touch and coming over for one of the do’s one of these days. Once again, Tony, congratulations on your fantastic site. I watch with great enthusiasm and read with great interest all snippets posted and the comments flashing between old colleagues - it’s great to see. Sadly, I m one of the dinosaurs of the Movers. We were not Mobile in those days, had minimal equipment, no computers and precious few loading aids. Only a handful of us left now I fear. I d like to toast Jack Riley, our Chairman who notched up yet another birthday last week-end making him by far the oldest Mover on your site. He has an amazing wealth of knowledge and experience, and an exceptional personality which one does not meet every day. I am delighted and honoured to have had the benefit of making his acquaintance. 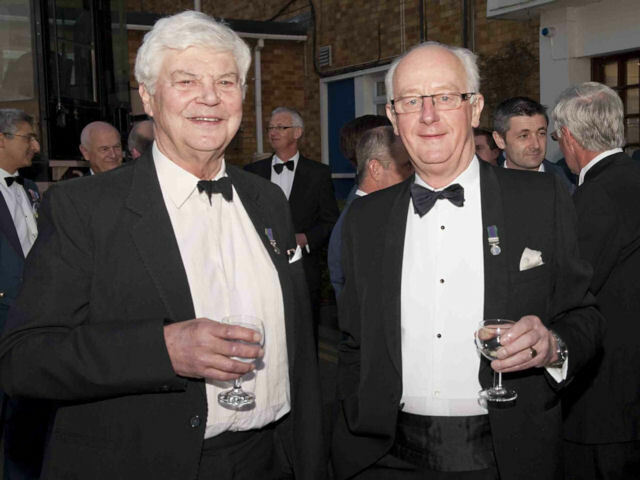 Born into an RAF family in 1946, Peter joined the RAF in 1965. Sent to RAF Abingdon to complete the Movements Course, his first Movements post was at RAF Khormaksar in Aden, now the Yemen. It was there that he witnessed a Britannia running off the runway into the sea and was one of the first to reach it. He described it “One of the emergency exits opened over the wing and the first passenger exited. He slid down the wing and landed in the mud and sunk up to his waist, which did not help him very much as the other 5 passengers slid down and landed on top of him! The 7th passenger was the Judge Advocate, who had been invited to stand on the flight deck for the landing and had broken his arm when the aircraft crashed into the sea! There were no injuries amongst the flight deck crew. The next morning, arrangements were made to remove all the cargo from the aircraft and as it was impossible to move the aircraft, it was left where it was. Several days later, there were complaints from the Hunter pilots that the fin of the Britannia was making their approaches difficult when landing from the West. The fin was then removed and the rest of the aircraft was blown up just before the withdrawal was completed”. 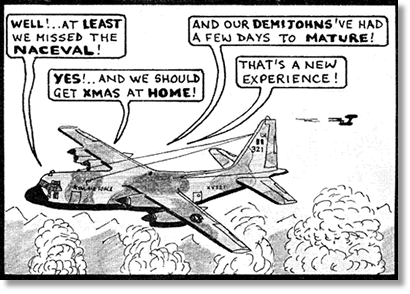 From there he volunteered to join FEAF MAMS in December 1967. It was in Singapore that I met Peter and, although Cargo officer at RAF Changi, I managed to get myself invited to join the FEAF MAMS tasks to Nepal on several occasions. 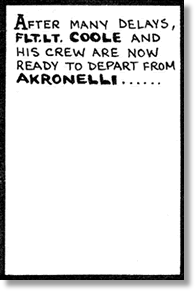 While he was there his roommate decided he did not want to fly anymore as both the Beverleys and Twin Pioneers were having serviceability problems. 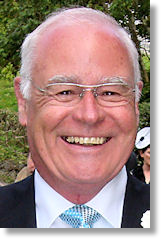 He was shipped out to UK for Court Martial and Peter’s new roommate was another friend of mine, Dave Felwick, who became his best man when he married Rosie in the Church at Changi in August 1969. 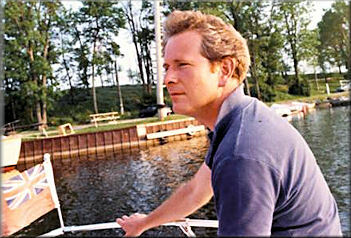 Peter was a good and active sportsman and represented FEAF in swimming, water polo and rowing. In his 4 years in Singapore he established a reputation for calmness, approachability and professionalism which was to follow him for the rest of his career. His next Movements post was in HQ STC on the staff responsible for Movements throughout the Command. After a posting to Abingdon he volunteered for duties in the Oman. He loved his time there and although he returned to Harrogate from 1979 to 1981, he returned to Oman to spend the next 6 years. Subsequent UK postings included the MOD and 10 years on the Saudi Armed forces Project from 1997 to 2007. 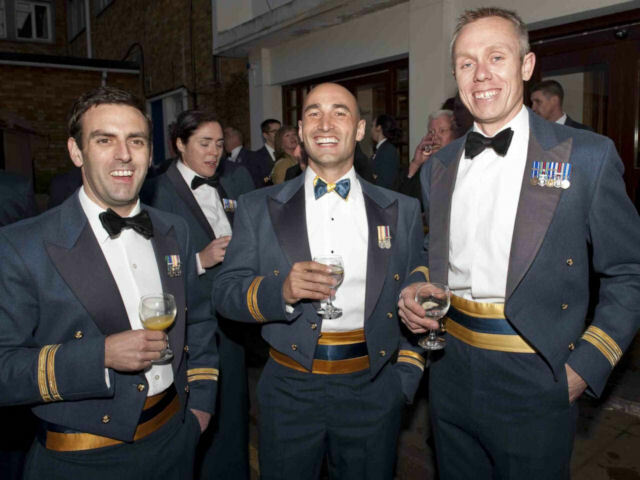 Apart from his sporting prowess he also spent much of his time gliding and represented the RAF in Inter Service competitions. 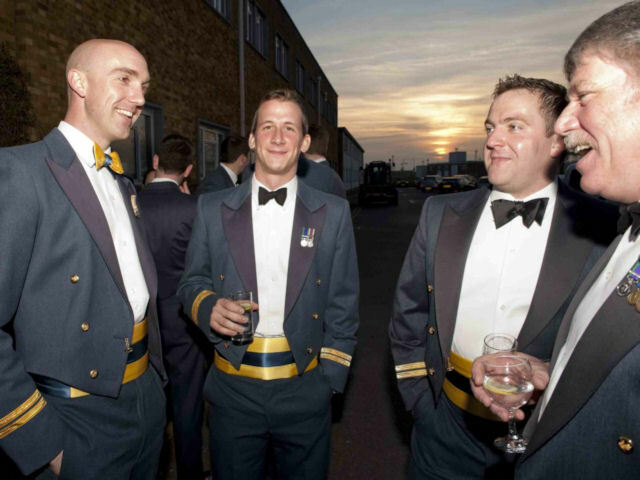 He retired from the RAF in 2001 but stayed on as FTRS until 2007. 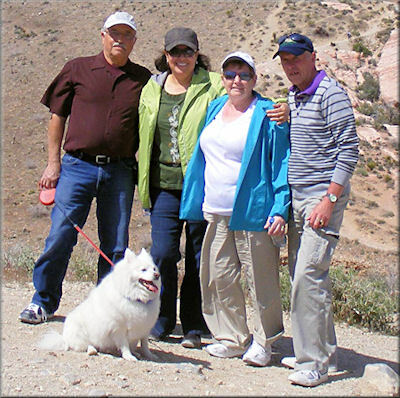 It was in May 2008 that Peter was told that his malignant melanoma had returned and he had several operations over the next year and radio therapy but was told that he would probably not make Christmas 2010. It was this news that brought out the best in Peter. He fitted more into the year 2010 than most retired folk would do in 10 years! He flew solo as long as he could, continued gliding and visited and was visited by the many friends that he and his family have had over the years. 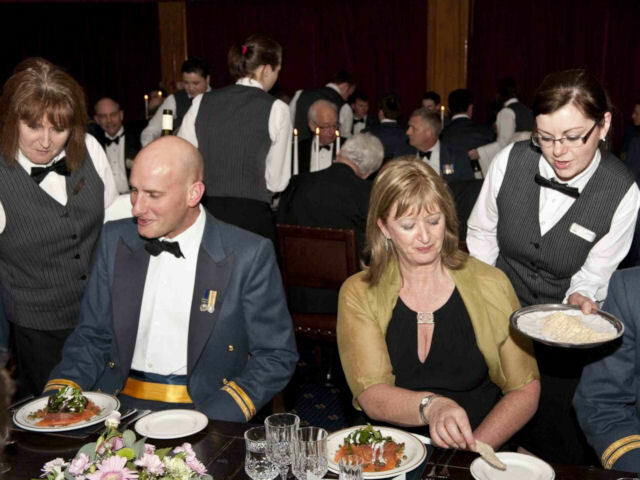 I particularly remember a dinner he arranged for all of us Far East ‘hands’ in Stamford and his cheerfulness and drive were inspirational. 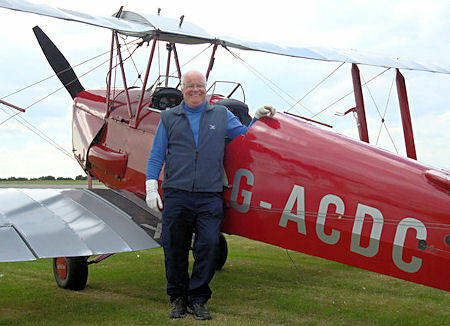 He went solo on the oldest Tiger Moth in the world (See the picture of this event - taken on 21 June 2010) flew in the 2-seat Spitfire, went hot air ballooning and flew in a Magni Gyrocopter! Peter then put together a book of his memoirs for his grandson and sent copies to his friends, asking them to support various Cancer charities who had looked after him. Always a fighter, he did make it through Christmas and died this month. The H model Hercules has been Canada's workhorse in Afghanistan since the mission began at the same airfield in the spring of 2002, when the runway was still badly cratered by bomb damage caused a few months earlier by U.S. air force bombers. The particular Hercules that&apos;s bound for Germany from Kandahar on Monday is to arrive at Canadian Forces Base Trenton in Ontario sometime next week. “It maybe has one or two years left,” flying search-and-rescue missions in Canada before it is retired, Prescott said. The aircraft&apos;s last cargo run from Afghanistan consisted of an extra propeller and a very large quantity of soldiers&apos; mail. “It has been very reliable for us and we have had a great amount of fun flying it tactically,” said Prescott, who guessed that as many as 1,800 of his 2,700 hours on the H-variant had been flown in Afghanistan. The returning aircraft's last Afghan mission a few days ago took it north to Kabul and to an austere airfield at Faizabad, north of the capital in the heart of the Hindu Kush mountain range. Some of the H variant s missions were taken away when the Canadian air force started to fly much larger C-17 aircraft into Kandahar a couple of years ago. The taskings decreased again four months ago when Canada began to replace the ancient H-models with the bigger, faster, state-of-the art J model. “We lived for 10 years on the south side of the airfield at Trenton, which is a 9-iron to the runway, and I remember going to sleep every night as a kid listening to Hercules engines,” said Meitzinger, who is a helicopter pilot.